Mizuma Art Gallery is pleased to announce a solo exhibition by O JUN “Mt. O JUN”. While his two-person show with MORI Junichi “Keirenshi” at Mizuma Action in 2009 is still fresh in our mind, he started the year 2010 with “Garden of Painting” (the National Museum of Art, Osaka), and currently showing dynamic installation at “Artist File 2010” (the National Art Center Tokyo). And in this coming June, he will be joining in the Vilnius Painting Triennial, Lithuania. However he often produced works with gouache and pastels in the past, this show focuses on his oil works. In the main piece, consist of two large canvases placed one above the other, the artist attempts to disclose the fact behind the flat surface by employing new material and experimental approach, and takes particular attention to the change appears in the motives. “The artwork is where the brightness and the light are examined” said the artist. He had used motives drawn from the stories and articles from news and newspaper and depict them with the bright color paint. The contrast between gloomy content and the bright color creates unique existence of his work. For this show, he attempts to realize brighter surface by applying dark color and making a deletion of the positive element seems necessary to construct a painting such as, control in contrast, selecting and mixing color and compositions. 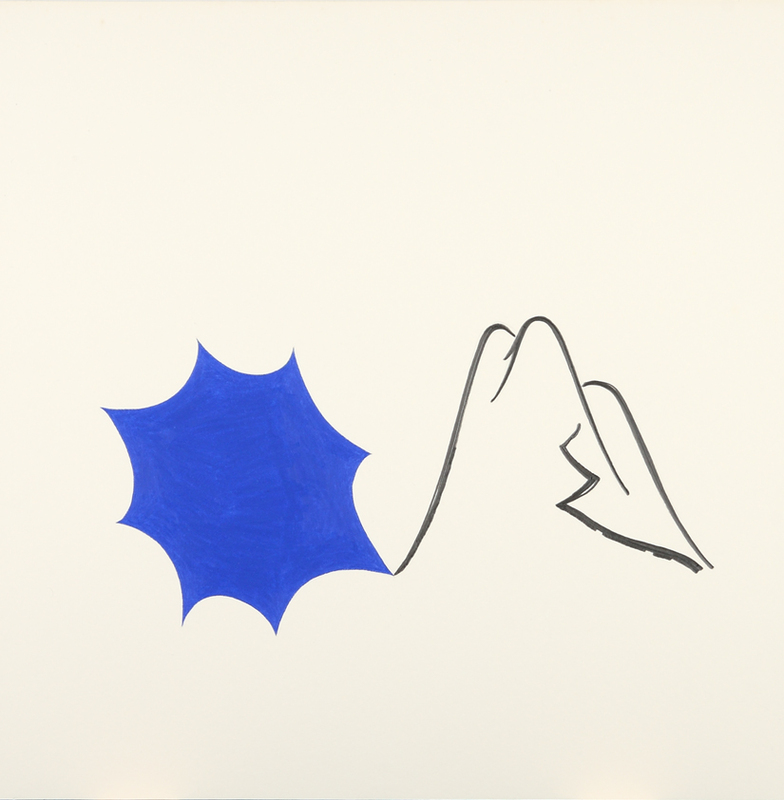 In the Japanese room, there are drawings made in the influence of “Life in the Mountain” by Kunio Yanagida. The mountain that has ambivalent quality (dark and light, pleasant and unpleasant) and the record of the person who lives deep in or who disappeared in the mountain unveil the fact which is more bizarre than the fiction or mystery. O JUN might overlap himself and the mountain just like overlapping its undulation and his work.